The Ontario Hockey League has made it official, with the announcement of a new player draft, focusing on those playing Major Midget in the province. Officially, it will be called the Under-18 Priority Selection, which will take place on Wednesday, April 12th. Eventually you will see the shift away from the “Major Midget” term, in favour of the “Under-18” title. This means kids who went undrafted at the conclusion of their Minor Midget year, will have another opportunity to get picked up by an OHL via the draft. It isn’t exactly unlike before, when players passed over in the draft would have an opportunity to be scooped up as a reentry. 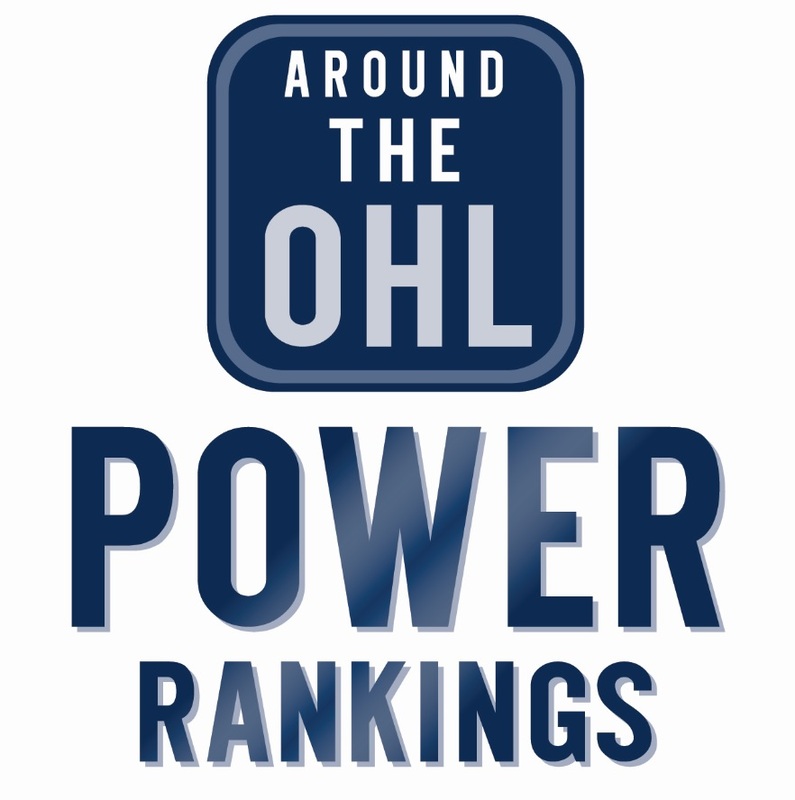 Looking at last year, there were five Ontario-born players who were taken as reentries, three of which have signed OHL Standard Player Agreements (SPA). All three of those players spent their 16-year-old season playing junior hockey. Oliver Castleman of the Niagara IceDogs. Photo by Terry Wilson / OHL Images. Niagara selected a pair of 1999 players in last years draft; Oliver Castleman in the fourth round, and Danial Singer in the eighth round. Both played junior hockey as undrafted 16-year-olds and have made the jump directly to the OHL this season. Windsor selected goaltender Brock Baier out of the WOJHL’s Mitchell Hawks in the 10th round. He’s having a great season for the GOJHL’s Listowel Cyclones and has signed an SPA with the Spitfires. There were two players selected as reentries playing Major Midget, North Bay picked Alex Robert (Cumberland Grads) in the 10th round, and Peterborough grabbed Cade Townend (Kanata Lasers) in the 12th round. Both are playing in the CCHL this season. Both of these players would have been eligible for the Under-18 Priority Selection. However Cade Robinson wouldnt. Erie drafted the forward out of a Major Midget program in the US (Honeybaked U16). Since the Under-18 draft only includes kids playing in the province, Americans like Cade would still need to be selected during the regular draft. Sean Josling of the Sarnia Sting. Photo by Aaron Bell/OHL Images. Sarnia’s Sean Josling is one example of an undrafted player who played Major Midget with the North York Rangers and signed as a Free Agent with an OHL club. Anthony Cirelli did the same with Oshawa in 2014. Both would likely haven been taken in the Under-18 draft had it existed at the time. So why complicate things with the addition of the new draft? OHL’s Director of Player Recruitment Daniel Broussard says they want to make Major Midget more appealing for players and families in Ontario. The new draft is announced in an effort to try and entice players into staying in ‘AAA’ hockey for another season, also the same perks remain for those who went undrafted and decide to play junior. They wont be eligible for the Under-18 draft, but instead could be taken in the 15 round priority selection, or be invited to camps as Free Agents. There are 66 major midget teams in Ontario, and Broussard estimates about 600 players are draft eligible. Head Coach of the Lambton Jr Sting Major Midgets Jonathan Taylor says the move gives young players another option, and makes it more appealing to stay in minor hockey for another year. Mark Davis, OHL scout and Head Coach of the GOJHL’s Sarnia Legionnaires, still believes if a kid is good enough to be playing junior, that’s where he should be. He says currently, finding a future OHLer who’s undrafted playing major midget is easier said than done. The Major Midget loop is often referred to as “watered down”, and Davis admits in the long run, the new draft could help keep more talented players in midget. He says if the player is good enough, scouts will find them. Young hockey players have more options now than ever before. Whether its various junior leagues, or major midget, there is a lot of research that goes into deciding where to play. More often than not, moving up too quickly could have adverse affects on development. On the contrary, not challenging yourself and playing down to your competition wont help much either. OHL’s Director of Player Recruitment Daniel Broussard while with the Ottawa 67’s. Photo by Aaron Bell/OHL Images. This is something Daniel Broussard is quite familiar with. He played a year of Major Midget himself before spending four years in the OHL. He admits it was a tough decision at the time, but it was the right choice for his development. He says that’s especially the case for goaltenders, who typically develop later than position players. If an OHL team selects a goalie during the Under-18 draft, they will get an extra pick after the four rounds are done. Broussard says this encourages teams to take a goaltender, making it more appealing for goalies to stick around and play Major Midget. Broussard doesn’t see there being much of a ripple affect with junior hockey teams, and says the Ontario Hockey Association was on board with the idea. With more and more being asked of Major Midget programs, you will start to see fewer that meet league credentials. Now programs need to meet a number of criteria like travelling via coach bus and having proper team facilities similar to a junior club. Not every program has access to these facilities, so teams in OHL markets would have an advantage. More and more teams will be able to meet these standards, which could result in fewer Major Midget programs. That would be welcomed by a majority of OHL scouts, as it would surely create a deeper and more talented league, which is good for minor hockey and junior hockey alike.